Usually, storytelling in marketing is assumed to be driven by empathy and emotion rather than numbers and analysis. However, when it comes to creating compelling stories, data plays an important role, in spite of the fact that it is underused. According to experts, there is a lot more work to be done in using data for the purpose of storytelling. So, how exactly can data be used to optimize and enhance brand stories? Creating compelling narratives has never been more important to marketers and, with the multitude of channels, formats, and content options, marketers have a rich palette that can help them connect with consumers in ever more impactful ways. By nature, humans are predisposed to love a great story and good storytelling can be both resonant and persuasive. With such a broad range of tools, methods, and formats to use, marketers can benefit from understanding both the fundamentals of good stories and the best practice techniques that can help create compelling content. Human stories have always been central to great storytelling and the human touch is still important for content creators. Simple frameworks and good preparation and execution can ensure that content and stories are authentic to brand values, tone, and territory. An emotive connection is a powerful way of helping stories to connect with consumers and support the power and persuasiveness of content. Good storytelling can generate trust and relatability for brands and ensure that messages are communicated in subtle yet powerful ways. 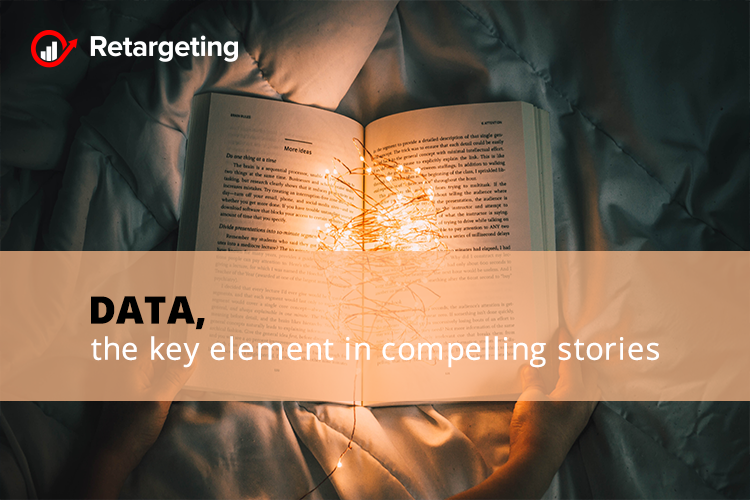 That’s why data has become critical in storytelling for marketers. From using data to inform, optimize, adapt and tell stories to develop best practice to make your stories more effective. Specialists say that great storytelling must have strong emotional resonance combined with good ‘intent utility’.This means that, on top of telling meaningful stories to customers in a general way, brands should be answering questions and doing so in a way that speaks to the context of a customer. This is where data comes in, as it can help brands identify what questions consumers have, when they have them, and to enable brands to answer them in a compelling way. It is up to marketers to use this data and combine it with human empathy and understanding to create compelling stories. Storytelling is typically seen as part of consumer-facing marketing. However, with data presenting a complex and often confusing picture, it can be much more effective to build a narrative based on that data, one that communicates the argument and conclusion much more clearly than a set of numbers can. Data on its own is not intelligent. The intelligence comes from recognizing what are the appropriate variety of sources to include and for each of these, ensure you work with the data specialists. By using data more intelligently, a brand is able to validate decision-making and deliver greater value to consumers. GDPR for e-commerce and how to be prepared! Color your way to success!